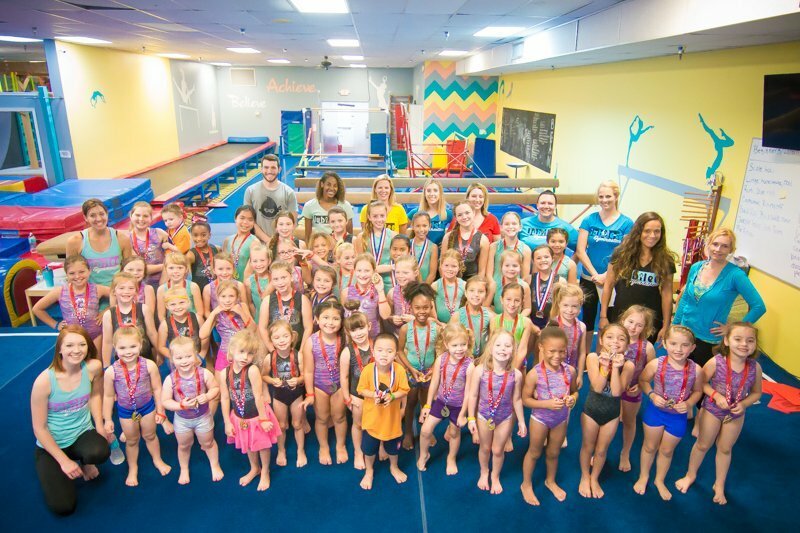 Jubilee Gymnastics is a award-winning gymnastic company who not only focuses on helping children gain confidence in gymnastics but also connects families and friends to make our local community closer with each other. We would love to have you come visit our gym and be a part of the Jubilee Family. The first step is to create an account in our Parent Portal as all our class days and times are shown there. All Registration is done through the Portal. If your student has more than one year experience in gymnastics, please contact us for a skills assessment. Our 3 yr old daughter counts down the days each week for her class with Mrs. Michelle and Mrs. Niki. Together they create a positive and fun environment for all the kids in our group. Each week the kids are exposed to a new theme, (which is still amazing to me), so the class is never monotonous. We, as parents, enjoy watching our kids learn while having a blast at the same time! What an amazing facility!!!! My daughter has learned so much since she started attending class a few weeks ago! All the staff members are professional and it is extremely obvious that safety is always first! The coach:student ratio is perfect. I love that all the coaches are interactive and can perform the moves they are showing my daughter. I have also been very impressed with the “lesson plans” each week. They always warm up at the beginning, teach a specific skill for the week with one coach while rotating through the other coaches for a review of a different skill. There are many opportunities for practice that include immediate corrective feedback and each class ends with a cool down.